Do you ever wonder what you can do with the plastic Easter eggs that seem to multiply each year? Our little Easter egg critters are one good use for them. 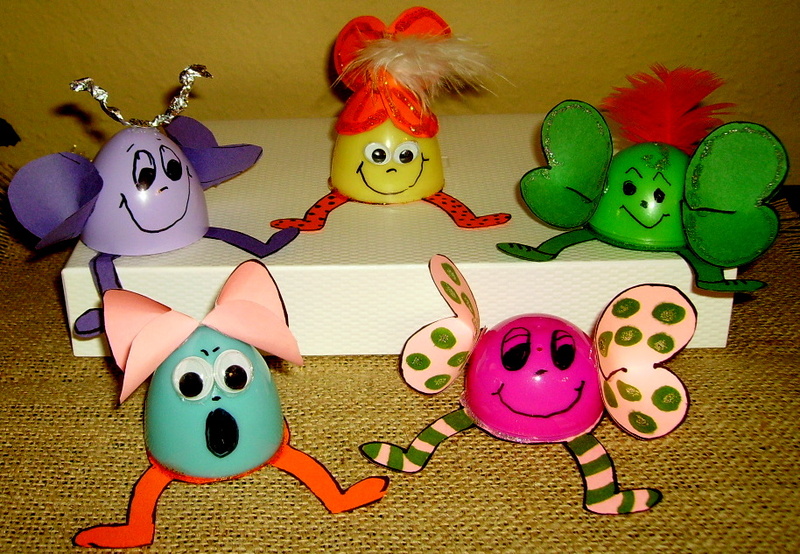 These little critters would make a nice addition to an Easter centerpiece if you have young or young-at-heart guests. Very cute and easy to make, using supplies that you have on hand or inexpensive at the dollar store. Patterns for 2 1/2″ and 3 1/2″ plastic eggs. Directions for the project, “Easter Egg Critters,” can be found in the Easter Projects Gallery in the sidebar. This entry was posted in Easter and tagged easter craft, easter crafts for kids, easter critters, easter egg critters, easter projects, easter projects for kids, easy easter egg craft for kids, fun easter crafts for kids, plastic easter eggs. Bookmark the permalink.